Childish Gambino and Kacey Musgraves swept the awards, both taking home four Grammys. The 61st Grammy Awards were held tonight at Los Angeles’ Staples centre, with Kacey Musgraves taking out top honours for Album Of The Year. Hosted by Alicia Keys, the Grammys began with a guest appearance from Michelle Obama and was packed with huge performances from the likes of Kacey Musgraves, H.E.R. Lady Gaga, Cardi B, Travis Scott and Janelle Monáe. There were were also three tribute performances: one to Motown Records featuring J-Lo and Smokey Robinson; one to the late Aretha Franklin with Fantasia; and the other to Dolly Parton featuring herself, Katy Perry, Maren Morris and Parton’s goddaughter Miley Cyrus. Diana Ross celebrated her 75th birthday a month early with a medley of her greatest hits. As for awards, Childish Gambino was the winner of the night. ‘This Is America’ took out four awards: Best Music Video, Best Rap/Sung Performance, Record Of The Year, and Song Of The Year, the first hip-hop song to do so. 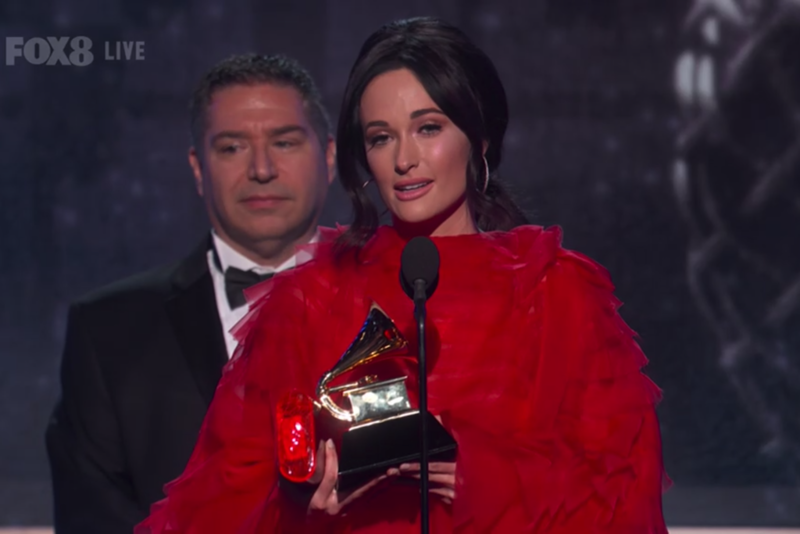 But, in a slight surprise, it was country-pop crossover Kacey Musgraves who won Best Album for Golden Hour. She took home three more awards, including Best Country Album, Best Country Song, and Best Country Performance for ‘Space Cowboy’ and ‘Butterflies’, respectively. Cardi B’s Invasion Of Privacy won out Best Rap Album. The rapper fought back tears as she thanked her collaborators, husband Offset and eight-month old daughter, Kulture. 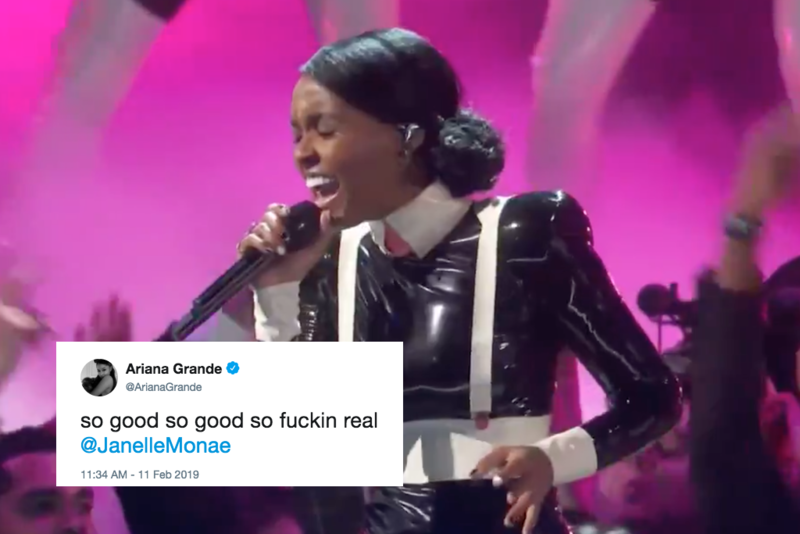 Similarly, Ariana Grande wasn’t there to accept an award for Best Pop Vocal Album for Sweetener, due to a dispute she had with the ceremonies over her planned (then canned) performance. While accepting the award for Best New Artist, Dua Lipa said her fellow nominees were proof that “women are stepping up this year”, a reference to outgoing Grammys president Neil Portnow’s comments last year that women needed to try harder to win more awards. He then took stage in the next segment, promising that the Grammys would continue to listen to criticism. Nominated in four categories, Lady Gaga and Bradley Cooper’s duet from A Star Is Born, ‘Shallow’, won both ‘Best Song Written For Visual Media’ and ‘Best Pop Duo/Group Performance’. Gaga also won a Grammy for ‘Best Solo Performance’ for last year’s rendition of the title track of 2016 album Joanne. If you’d like, you can find the winners of technical awards, as well as award in the classical, children’s, American roots and more categories here.